Stephen credits his wife Madeline (31) for starting him on his weight loss journey as she encouraged him to attend a slimming club meeting. 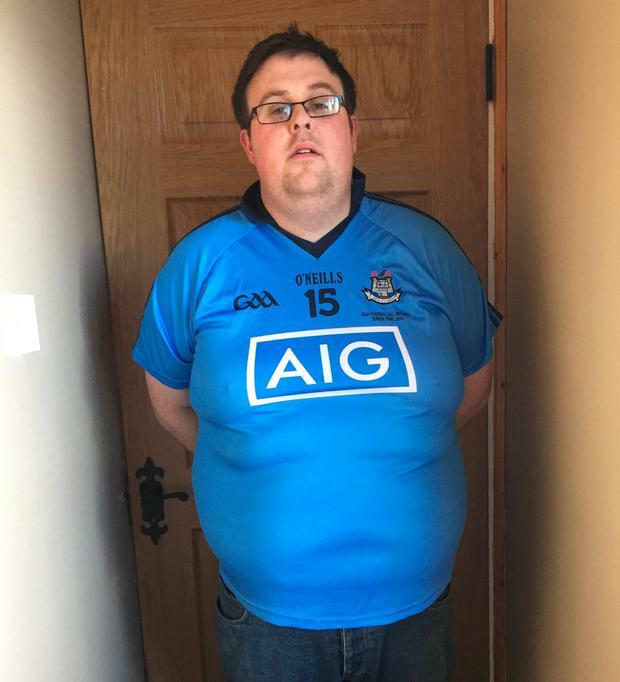 After losing more than nine stone, Stephen Foley (33) is now on his third wedding ring. He credits his wife Madeline (31) for starting him on his weight loss journey as she encouraged him to attend a slimming club meeting. "If she had not pushed me, I would not have taken the steps I needed to take," said Mr Foley, from Stamullen, Co Meath. "I spent a fair amount of time in the car trying to talk myself out of going into the class that night. "I was so sure it was going to be a class full of women and I would be the only bloke there. I was wrong about that because there were other men there too and from the minute I walked in, I was so much more relaxed. Everything was straight forward and not complicated at all." At that point, Mr Foley weighed more than 23 stone and had tried unsuccessfully to lose weight on his own. In his first week with Slimming World in May 2016, he lost 11 and a half pounds. He also joined a gym, started swimming and playing football. He now weighs just over 14 stone. Mr Foley has had his ups and downs and at the start of July 2017 he set a new goal to lose an extra half a stone and: "I finally achieved that on July 25, 2017." He has been at his target weight for a year now and said: "I am even onto my third wedding ring as I lost so much weight and the ones I had couldn't be resized. "The main reason I wanted to lose weight was to become healthy and try to live a more active lifestyle. "I wasn't able to do much at the weight I was and it was hindering me in my daily life and during my working day." After years of avoiding gyms and pools "as I wouldn't have the confidence for changing rooms", he now goes to the gym and swims "four and sometimes five days a week" and plays five-a-side football once a week. Last month, he quit smoking, "which was the last major milestone I had to overcome". The differences in his health and fitness are stark. At his heaviest, it took Mr Foley 49 minutes to run 5km. "I did the same distance last year in 30 minutes, so I definitely improved my fitness," he said. It has also improved his mental health. Mr Foley said he had suffered with depression in the past and "losing the weight gave me a new-found confidence and belief in life and myself". "I have lost nine stone and three pounds. I started at 23-and-a-half stone and now weigh 14 stone, four pounds. "I went from an XXXL top to a medium/large and from a 44-inch waist to a 32/34 waist," he added. Mr Foley, who works as an assistant parts manager with Hyundai, said one of the highlights of the weight loss was being able to fit into a rally car. 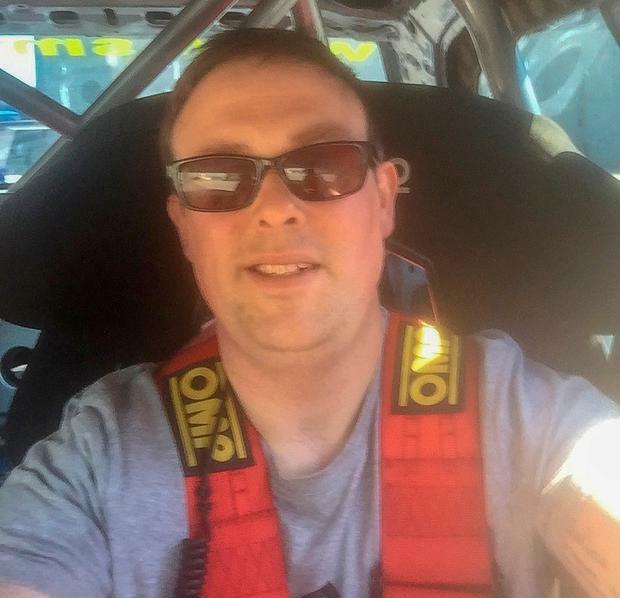 "One of my work suppliers has a rally car and I had been hassling him for years for a spin in it as a passenger. "Let's be honest, I never would have fitted into the car before but after I reached my target weight, I finally got to go in the car," he said. "It was a surreal moment and I loved it."